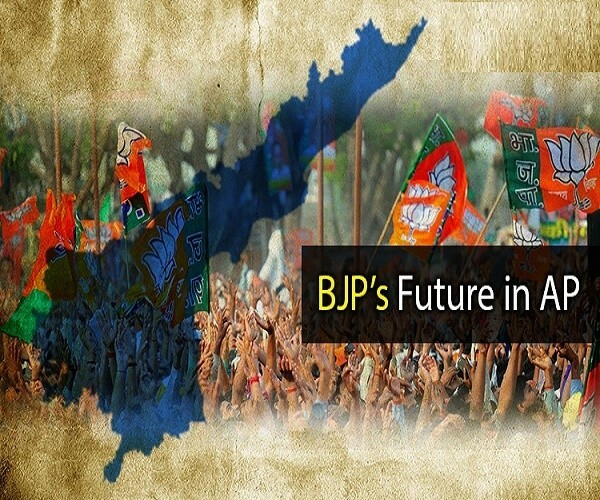 Home #BigTopStory #BigQuestion: Does the BJP ‘Have A Chance’ In Andhra Pradesh? #BigQuestion: Does the BJP ‘Have A Chance’ In Andhra Pradesh? Is there a political space in the state of Andhra Pradesh for a party like BJP to make a mark and be a force to reckon with in days to come? In my opinion the answer is yes. To analyse the same we need to look at the present political scenario in the state. Three regional parties which are now competing with each other for a space within the political arena in Andhra Pradesh are individual centric. Whether it is Telugu Desam, YSRCP or Janasena all are centered around one individual and are also perceived to represent the interests of three dominant communities in the state. They also represent hereditary politics claiming legacy from one or the other departed leader though Janasena is an exception in this regard. Herein lies a big opportunity for a party like BJP to position itself to represent the politically marginalised communities who so far have not got a fair representation in the political spectrum. If this political engineering can be successfully worked out it throws open a major political space for BJP within the state of Andhra Pradesh. Even those parties who swear by the backward classes have done only lip service to their interests and political power even there is concentrated in communities other than the backward classes. ALSO READ: Will 'Soft Hindutva' Help Rahul Gandhi Win 2019 Lok Sabha Elections? If BJP can position itself to represent the interests of a rainbow coalition of all these communities both backward and forward then they will be a force to reckon with. Similarly the fact that as a party it’s not individual centric also gives it an added advantage. None of the three regional parties in Andhra Pradesh have a strong ideological base. This also gives BJP an ideological edge. As a national party with bright prospects of coming back to power in 2019 it can position itself to be of relevance to the development of the state. Andhra Pradesh is a vast state with strong sub regional identities and interests. These identities are historical and cultural. The present government in the last four years has dealt with these identities with disdain and contempt. This has led to further consolidation of these identities and a feeling that the government is insensitive to their interests and identity. If the BJP can reassure that genuine interests of these regions would be taken care of and their identities respected and all major decisions would be based on dialogue and consensus they can develop a strong presence across the state. Taking a stand on high court in Rayalaseema can be a step in right direction in this regard. ALSO READ: #StraightTalk: Why BJP Is On 'Deathbed' In Telangana? The governance levels in the state now are at an all-time low. There is a lot of corruption, wasteful expenditure and nepotism all- pervading the administrative setup. No wonder the Japanese firm who came to do business with the state government finally left remarking that the levels of corruption in Andhra Pradesh are worse than that of Bihar. Promise of a clean and corruption free government and a sincere attempt to convince people that they mean what they say can also give the BJP a strong base in the state of Andhra Pradesh. Before the above can be attempted there is a more important factor which needs to be attended immediately by the BJP. The Telugu Desam government successful created a myth that nothing has been done in terms of the fulfillment of promises made at the time of division of the state though a lot has already been done and promises fulfilled. This lie has already travelled halfway around the world before truth can put on shoes. It is this which requires immediate attention of the BJP to explain to the people all that has been done by the party at the Centre government in terms of fulfillment of the division promises including the party stand on special category status. Special category status was presented to the people as if it’s a panacea to all the problems of the state. There is very little understanding what exactly is there in the statement of the Prime Minister Manmohan Singh and what are the benefits that come out of the special category status and the fact that the industrial incentives were never part of the special category status even in the north-eastern states and are given separately. BJP may have to work doubly hard to explain this to public. 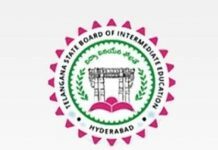 After sanctioning nine educational institutions out of eleven in record time still the Centre is shown as the accused for the balance two though those accusing know that needs a legislation.